Two members of the Texas Legislature and two area businessmen are among those who have displayed outstanding commitment not only to the university but to their respective communities as well and have been selected to receive the 2008 SHSU Alumni Association Service Awards. Thomas F. Davis, Lois W. Kolkhorst, George D. Miles, Michael P. O’Day, Billy F. Ringo and W. Greg Smith will be honored at a luncheon on April 18, at 11:30 a.m. in the Lowman Student Center Ballroom, for their fulfillment of the university's motto, "The measure of a Life is its Service." Tickets for the event are $20 for Alumni Association members and $25 for non-members. Reservations can be made by contacting the Alumni Relations Office by phone at 936.294.1841 or by e-mail at alumni@shsu.edu. For longtime professor at SHSU Thomas Davis, whose relationship with the university started on the football field, “it would probably be easier to answer ‘what he hasn’t done for Sam Houston State University’ rather than ‘what he has done,’” according to his nomination form. The former All-Texas and All-America Bearkat football player earned his bachelor's and master's degrees in math from SHSU and his doctorate from the University of Texas. 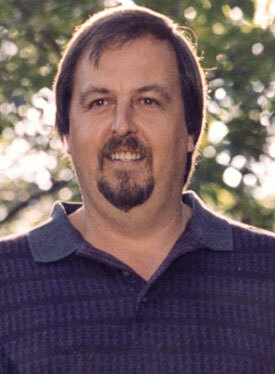 Davis’ service to SHSU during his 47 years on the mathematics and statistics department’s faculty is widespread. 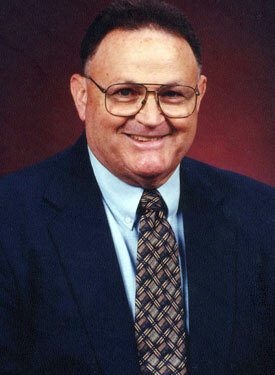 He has served on the faculty senate for 12 years; the faculty athletic committee for 36 years, nine of which were spent as president; as a faculty representative to the Lone Star, Gulf Star and Southland conferences and the NCAA; was president of the Southland Conference for two years; on the NCAA National Compliance Committee; and a host of other university committees. “There can be no doubt of Tommy’s love for sports,” his nomination form said. “For most of his 47 years on the faculty at Sam Houston, Tommy has operated the clock for football and basketball home games. He is also a 1996 Distinguished Alumni recipient. His service is not limited to the Bearkat community, extending to the HEARTS Veterans Museum, for which he serves on the board of directors; the City of Huntsville, for which he serves on the board of adjustments; and the First United Methodist Church of Huntsville, for which he serves as a member of the choir. He is also a member of the Huntsville Men’s Choir and has been affiliated with the YMCA, the State Bar of Texas and the Walker County Employees Grievance Committee. He is married to Patty Sue Davis, and they have two daughters. 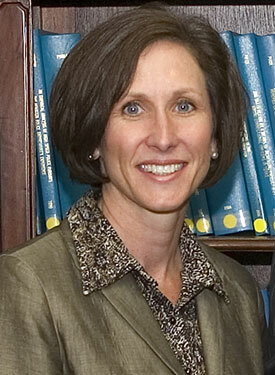 One of Texas’ “Top Ten Best Legislators,” Lois Kolkhorst has been described as a “protector” of SHSU. A member of the Texas House of Representatives since her election in 2000, Kolkhorst serves House District 13, which includes more than 140,000 people in Austin, Grimes, Walker and Washington counties. The Brenham native earned her bachelor’s degree in advertising and public relations from Texas Christian University in 1988. In the Texas House, she serves on the Sunset Advisory Commission, which oversees and recommends policy changes for state agencies; the House Appropriations Committee, serving as chair of the subcommittee on education; the House Select Committee on Higher and Public Education Finance; chairs the Budget and Oversight for the House Committee on Economic Development; and the House Rural Caucus, among others. She has authored and sponsored a long list of bills that tackle issues as varied as private toll roads and the Trans-Texas Corridor, criminal justice and prison reform, education funding, agriculture policies, consumer rights issues, economic development and domestic violence. Her accolades include being named one of Texas Monthly’s 2007 “Top Ten Best Legislators.” She is a two-time recipient of the “Fighter for Free Enterprise” award, the “Freedom and Family Award’ and the AFSCME Legislative Service Award for her work on behalf of correctional officers. At home in Brenham, she is a Sunday school teacher and lay reader at her church, St. Paul’s Lutheran, a supporter of all four of her district’s county fairs, participates in Brenham’s annual Maifest, is on the Blinn College Foundation Board and is a Washington County 4-H volunteer. She and husband Jim have two children, Lois Kate and Jake. A “friend” of Sam Houston State, whose “leadership is unsurpassed in service,” George Miles earned his bachelor’s degree in journalism from SHSU in 1961 and his master’s from Southern Methodist University’s Graduate Banking School. 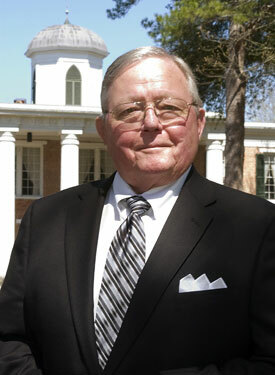 Miles served as a member of the SHSU alumni association board of directors from 2001 to 2007, also serving as president and past president during that time; on the university’s executive leadership council; as a member of university president Jim Gaertner’s President’s Circle; and on the board of the Raven Nest Golf Course. In 2006, he created and was named president of the “Friends of the Sam Houston Memorial Museum,” for which he helped develop new interest and created programs for the entire family. A 27-year resident of Huntsville, he is equally as active in his community, currently serving as chair of the Huntsville Economic Development Council, director for the Huntsville-Walker County Chamber of Commerce, a board member of the Huntsville Zoning and Adjustment Board and a member of the Walker County Jail Commission. Miles also “manages funds for medical expenses for a local family in dire need,” his nomination form said. The retired executive vice president for the First National Bank of Huntsville currently serves as a contract marketing coordinator for the bank. He is also a member of the vestry of St. Stephens Episcopal Church. “He has many associates but only a few peers in leading, organizing and motivating large groups to solve problems,” his nomination form said. He and his wife of 23 years, Beth, have three sons and two granddaughters. One of a long line of Bearkats, State Rep. Michael Patrick O’Day, a 1972 SHSU graduate, serves District 29 as well as the university, in a variety of ways. 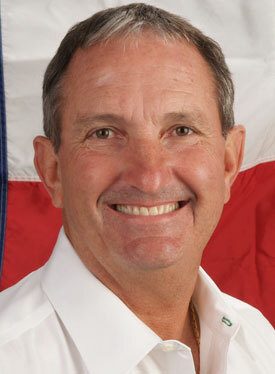 A member of the Texas House of Representatives since 2007, representing Matagorda and parts of Brazoria County, O’Day coauthored HB1418, preserving the name of SHSU. He has served as a commencement speaker and a member of the SHSU Alumni Board, the Bearkat Boosters and the Sigma Chi fraternity. He is also one of 12 members of his family who have attended SHSU. In the state House, he serves on the culture, recreation and tourism, natural resources and redistricting committees and was appointed to the energy council by the Speaker of the House. During the 80th legislative session, O’Day worked on improving border security, lowering the Margin Tax, keeping religion in schools and insuring pay increases for teachers and retired teachers. In the Pearland community, where he also owns O’Day Drilling Company—the oldest operating company in Pearland, he is a 57-year member of the First United Methodist Church, a charter member of the Pearland Historical Society and the Northern Brazoria County Education Alliance and serves as a board member of the Alvin Community College Board of Directors, Coppinger YMCA, and the Texas Groundwater Board, among many others. O’Day and his wife, Connie, reside in Pearland, along with their three children and three grandchildren. Though he may not be a Bearkat on paper, Billy Frank Ringo is a “110 percent Bearkat” in his heart. A Huntsville High School graduate and president of Ringo Tire and Service Center, Ringo is an avid Bearkat sports fan, following teams to “Lubbock, Austin, Louisiana, Florida, San Antonio, San Marcos, Arlington, (and) Beaumont,” his nomination form said. Not only a Bearkat athletics fan, which he supports and promotes “in-kind,” Ringo started the Huntsville chapter of “Little Dribblers” in 1979; has coached both boys and girls teams in basketball, baseball, softball and soccer; and has recruited many local businesses to become members of the Bearkat Club. He is a member of the Northside Baptist Church, sponsors the Tees for Moms program and other Huntsville High School events and also is a lifetime Walker County Fair Association member, annually participating in the fair by setting up a booth. “If all residents of Huntsville supported our town and our wonderful university as Billy and his family do, all of our sporting events would be at 100 percent capacity,” another letter said. The owner of three local businesses, Greg Smith shares his “time and talents generously” with Sam Houston State University. A graduate of North Texas Community College with an aviation degree, Smith began actively supporting SHSU when his son joined the Bearkat football team. Since then, he has “dedicated his services unselfishly to enhance” SHSU through his participation in fundraisers for the theatre department; the baseball, basketball, football and golf teams; and serving as a member of the Kat Pack and on the board of directors for the Bearkat Partners, according to his nomination form. He also served as a host for SHSU’s Share the Vision Capital Campaign event for the Montgomery County region and hosted a reception with the president at his home. “Greg Smith is always willing to step up to the plate and help Sam Houston and other organizations raise money,” the form said. “Greg holds season tickets for the baseball and basketball programs and a suite for the football games. 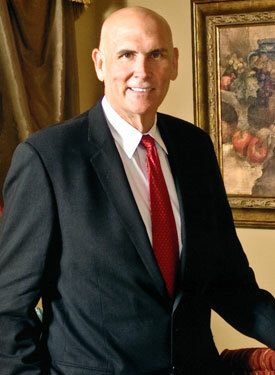 In addition to his work as the owner of Suburban Mortgage, Keller-Williams Realty and the Sam Houston Memorial Funeral Home, Smith is a member of both the Conroe and Huntsville-Walker County chambers of commerce; is president of the Historic Montgomery Business Association; and past president of the Conroe Noon Lions Club, the third largest Lions Club in the world, as well as a past director for the Montgomery County YMCA. He has also served as a charity auctioneer at fundraisers for SHSU, the First Baptist Academy in Conroe, the Bentwater Law Enforcement Charity, the Huntsville-Walker County Chamber of Commerce and the Conroe Noon Lions Club. “His dedicated service-above-self actions for the university is reflected by the exemplary drive he provides to the university and community through his participation,” a nomination letter said. He and wife, Ruth, live in Montgomery.